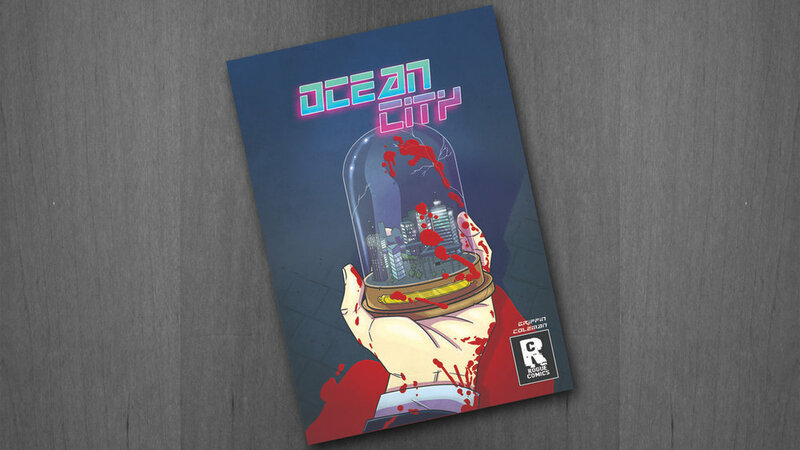 Towards the end of last year, I was delighted to join Rogue Comics as a lettering artist for a comic series called Ocean City. Created by Colm Griffin, the comic tells a coming of age story about a boy "learning about the past, dealing with loss, and finding out where he fits in the world." I'm very proud to be part of the creative team, and I'm delighted to say that the book sold out during its launch event earlier this month! I'm already looking forward to issue two! The book is currently out of stock, but will soon be available at roguecomicsireland.com. Earlier this year, I was invited to join a project that got me excited immediately. The Guards, an independent comic with a brilliant creative team behind it, is finally ready for the release! Act 1 will be launched at Dublin Comic Con this year, and I promise you it's worth picking up a copy! Written by Shane Ormond, with art by Kevin Keane, and working with editor, Colin O'Mahoney; I was delighted to provide comic lettering and design for the book. I think the team did an incredible job, and I am so proud and delighted to have been a part of it. I had so much fun with this one! None Shall Pass, created by John Murphy of Bold Puppy and pushed a step further with LS Comics, was of those projects that really makes me fall in love with graphic design all over again. A great team of talented people came together to work on this teaser-version of the book, and I was utterly delighted to have been a part of it. Many thanks to Eoin of LSComics, John of Bold Puppy, Robert Carey, Dee Cunniffe, and Cormac Hughes! It’s amazing to think that we’ve made it through another academic year already. In LIT Clonmel, that means a few things: it’s deadline season, it’s exam season, and it’s almost time for the annual Pen & Pixel exhibition! It's been a super busy few weeks coming up to the last classes of this semester, but it's pretty satisfying to be finishing off so many projects I've been working on for a while. There's a bunch of things in the pipeline that I really can't wait to share! Ruth and I are still keeping busy with our series of musical adventures too, and we've just released our latest music video; a romantic little tale called Table for Two. The fifth in the series! It's been a long time coming, but The Chicken Song is finally here! Ruth Butler and I have been working on this project for a few months now, and we're both incredibly excited to be able to share it! Ruth, always a treasure trove of ideas, developed the story and song, while I've been busy developing the visuals and animation. The journey has been a fun-filled one, so do please press play, check it out, and subscribe to Ruth's YouTube channel or my Facebook Page or other social accounts to keep up-to-date on our musical adventures! And be sure to have a very happy Easter too!